As you know I’m knee deep in laundry room makeover. It came together quickly once I got Captain Carpentry (aka my awesome brother) on board. In an afternoon it went from a hole in the wall to an amazing functional space. But it still needs some pretty, so I set out on the hunt for some artwork to fill the walls. I threw in the towel on my hunt after a drive into the city and 7 stores later. I decided to bite the bullet and create something of my own. 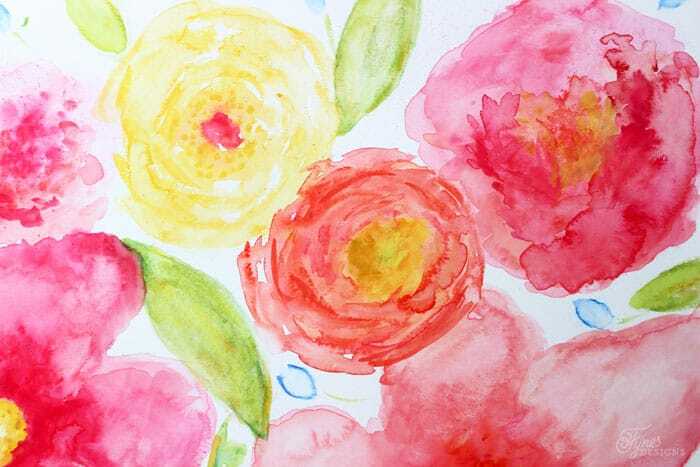 A floral watercolor painting was what I had in mind, so I took myself to Michaels to pick up my supplies. Since I haven’t done any watercolor painting since high school art class I was pretty much starting from scratch. I wasn’t sure how I was going to feel about it I went for the most affordable supplies I could find. For under $25 I picked up everything I needed to get started! Brushes- I got this multi-purpose pack, but using natural hair brushes is the best idea if you’re seriously getting into watercoloring. 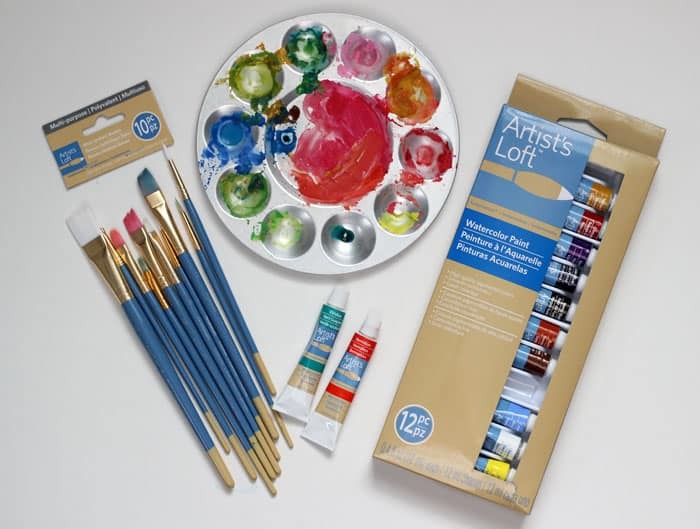 You can read a really simple tutorial how to approach watercoloring for beginners here. 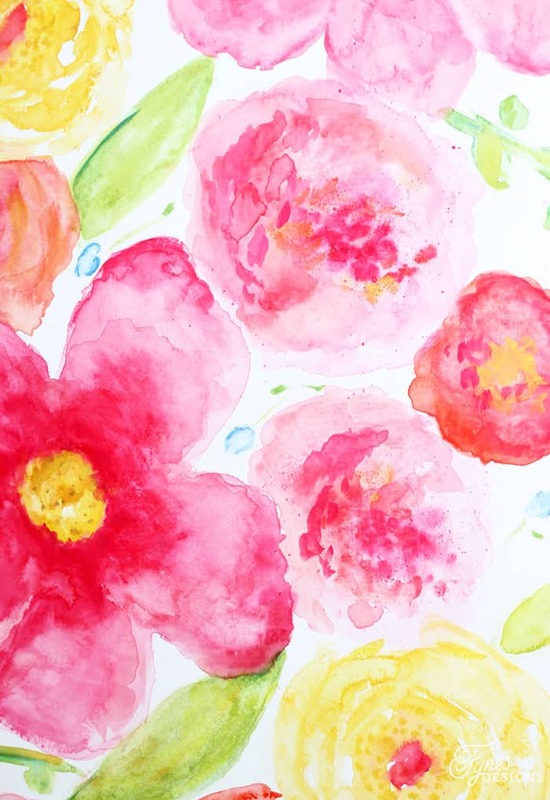 Watercolor is so popular right now there are inspiring pieces everywhere. I find so much inspiration from my friend Lucy from Craftberry Bush, you have to check out all her beautiful work in the Craftberry Bush Society6 Shop. 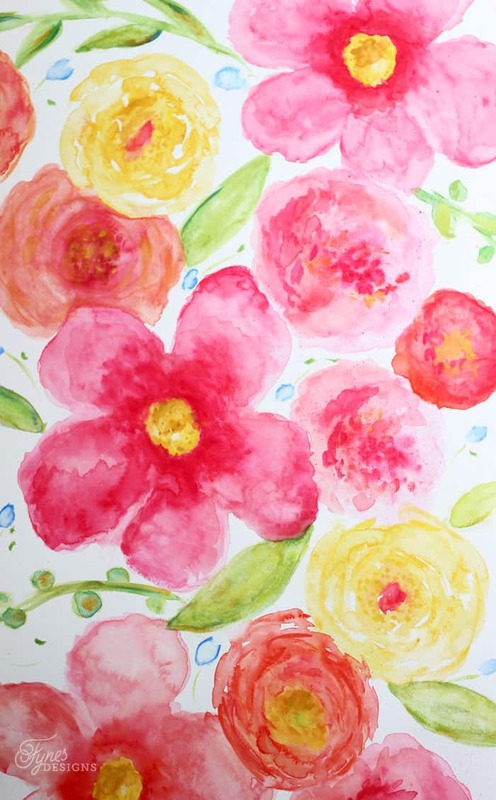 What do you think of my large floral watercolor picture? I love it! I’m far from a pro, but I think it will do quite nicely for my little laundry room! I have so much to learn about watercolor, but I think I could really get used to this medium, its so pretty, and easy to work with. I’m just learning myself (and trying to remember what I learned back in high school), I don’t have much wisdom to offer but check out this tutorial to get yourself comfortable with the idea of trying it out. The Allison Show has a 5 part series (part 1, part 2, part 3, part 4, part 5) that is awesome and gives you some great ideas and techniques to try out. You can learn how to paint leaves here with Lucy. I can’t wait to share how I framed this piece, and hung it in the new laundry room, coming up really soon! What do you think of the colors I’ve chose to pair with Blue Paisley? You’re going to love how they bring everything together in the laundry room! 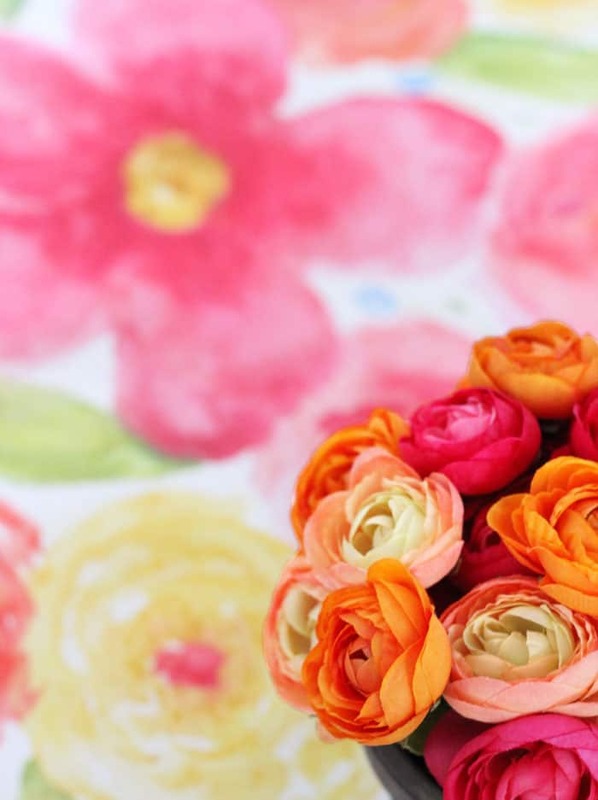 I absolutely LOVE your flowers! Way to go, girl! Thanks, I definitely need to work on it, but for my first go, I kinda like it! Very sweet and great effort. You have a natural talent and you’ve inspired me to try it! Thats great Claudia, I’m sure you’ll love it. The best part is, if you feel you messed up, you can just add more water and wipe it away! A very forgiving medium! It’s beautiful! So cheerful and bright. I can’t wait to see it in the completed laundry room! Thanks Annie, I really hope you give it a try, so fun! I love, Love, LOVE watercolours and your painting is fabulous! I am impressed with what you produced considering that this was your first effort. WOW! This is absolutely beautiful Virginia! I love watercolour paintings so much!